Keep home, office, or classrooms organized. Clear top for easy content viewing. 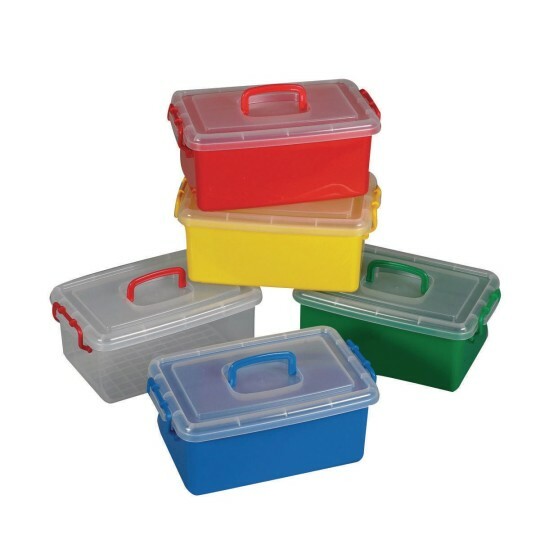 Jumbo Bins feature colorful locktight handles and clear top for easy content viewing. 14-1/2"L x 9-1/4"W x 6-1/4"H.